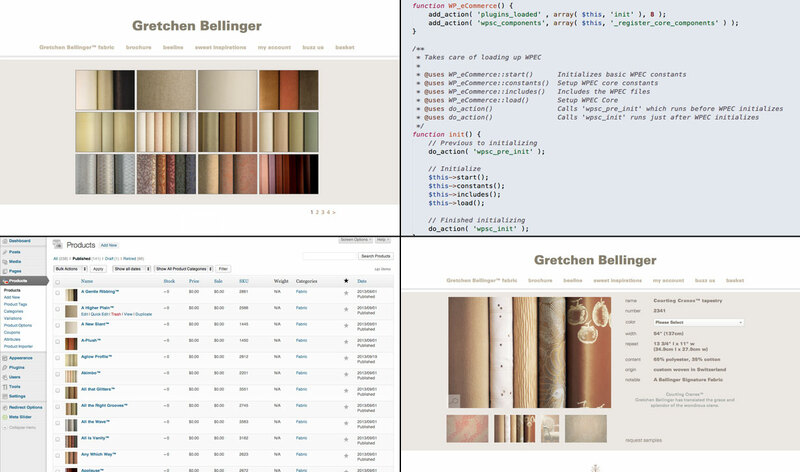 The Challenge: This fabric company had a visual identity from a previous designer which included static mockups of individual web pages, but no way to implement it into their large fabric database and ordering system. The Solution: Using a customized installation of WordPress E-Commerce, I recreated their designer's visual styling in a system that has interactive fabric galleries, multi-termed searching (e.g. search by color, by fabric type, by application) and a login system for their approved customers to place orders. jQuery animations helped to solidify their visual branding with smooth transitions between the static views their designer conceived of.